My Fellow Americans, Look At Me: Do I Look Like A Corrupt, Vengeful Bully? I must admit, the past two days have been the most humbling of my entire career. I was shocked and disgusted to learn of the deplorable conduct of a member of my staff, who, without my knowledge, orchestrated lane closures on the George Washington Bridge, deliberately causing major traffic congestion in order to exact political vengeance against a local mayor who didn’t endorse me for reelection. Though I promptly fired the aide in question and repeatedly stressed that I had no prior knowledge of her actions, many have continued to accuse me of being complicit in this incident. And to those who do, I can only ask that you simply look at me, right now, and just ask yourself one question: Do I look like a corrupt, vengeful, openly antagonistic bully to you? Really, take a good, hard look. Do I seriously strike you as the type of person who would vengefully go after a rival political group who opposed my administration’s policies? And not only go after them, but also after anyone who is even remotely associated with them, essentially waging a fear campaign in order to systematically intimidate, isolate, and marginalize my enemies one-by-one? C’mon, that’s just not me. Everyone knows that sounds nothing like me. Really, anyone who has followed my career even the slightest bit over the years knows that the last thing I am is an overly ambitious and hypersensitive man with a penchant for antagonism and belligerence. I mean, it’s me we’re talking about here! Chris Christie! Not some ultra-competitive blowhard with deep-seated insecurities probably stemming from my own experiences being bullied as a child. That’s why this whole scandal is so silly. It’s like, everyone knows that’s pretty much the exact opposite of what I’m like. What, am I wearing a mask or something? I mean, hello? It’s me! Chris Christie! Part of me gets, I suppose, why this whole debacle is so intriguing to people. After all, just imagine me secretly being some overcompensating, bitter, antagonistic personality with a my-way-or-the-highway demeanor and a ruthless desire for ever greater degrees of political power. I mean, sure, I see how that’s a pretty amusing and unexpected reversal: Chris Christie as a bully. I get it. But, look, let’s get serious here. People don’t just turn into completely different people overnight. 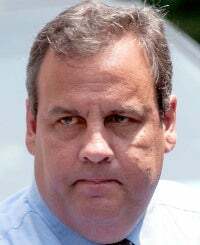 I’m still the same warm, civil, reasonable, level-headed, pussycat-like guy who’s made people say for years, “Wow, that Chris Christie sure seems like a sweet, soft-spoken, not at all temperamental or vindictive person.” Nothing’s changed, folks! I’m still the same old me! Heck, the mere facts alone that I’ve been the Governor of New Jersey for four years now and have since become a leading member of the Republican Party should really let anyone know by now that I’m obviously a compassionate and forgiving person who treats everyone—regardless of their views —with decency and respect. So could you ever imagine me quickly losing my temper over even the smallest perceived slight and then blowing it way out of proportion? Get outta here! Folks, everyone knows that little things like criticism of my decisions, my track record, and especially my appearance just rolls off me like water off a duck’s back. C’mon, that’s, like, my whole thing, right? That’s my image: Mr. Calm And Conciliatory. So if you’re one of the many people who is currently wondering whether I knew or didn't know about the vengeful actions perpetrated by my administration, just remember my overall demeanor, how I interact with everyday people, and how I respond to questions from the media, and you’ll quickly realize that I could never, ever be capable of endlessly obsessing over every last criticism leveled against me, nor could I ever bring myself to actually use any and all resources at my disposal to attack everyone who either proved an obstacle to my election or endorsed any of my political opponents. And the idea that I would go to incredible lengths to continue exacting political retribution at any available opportunity, even years later, is just inconceivable given the way I’ve famously carried myself both personally and professionally. Honestly, the way people have been talking about this whole bridge scandal, you’d think I was the type of guy to still harbor plenty of ill-will and resentment toward those who worked against my election bid to unseat former New Jersey Governor Jon Corzine all the way back in 2009! Ah well, that’s politics, I guess. People are always going to try to portray you as a sadistic, ruthless, overly belligerent scumbag hell-bent on crushing anyone who stands in your way. Weird that anyone would ever think that I, of all people, exemplify those traits, but whatever. Ultimately, I take solace knowing that the great people of New Jersey, and the American people as a whole, won't just blindly accept these unfair accusations launched against me. They know the real me.